China Reflective manufacturer, Reflective Material, Reflective Sheeting supplier - Changzhou Hua R Sheng Reflective Material Co., Ltd.
Reflective, Reflective Material, Reflective Sheeting manufacturer / supplier in China, offering Pet Photo Luminescent Film for Street Signs (FG720), Advertisement Grade Pet Red Reflective Material (TM3300), Blue Reflective Material with Engineering Grade (TM5100) and so on. 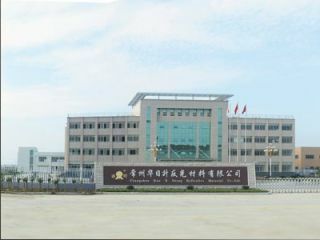 Founded in 1994, Changzhou Hua R Sheng Reflective Material Co., Ltd. is a professional enterprise engaged in design, production, and sales of reflective materials. Having received local and multi-national recognition for our high quality and innovative designs, our products have been exported to more than 90 countries.